Label Kind Turkey Records are bringing out some sweet releases this month, none more so than the new 7" by Milwaukee's Trent Fox and the Tenants. It's five tracks of garage/pop/rock n roll with swagger. They have played with the likes of Nobunny, Jaill and Thomas Function, so their brand of sloppy garage rock is assured. 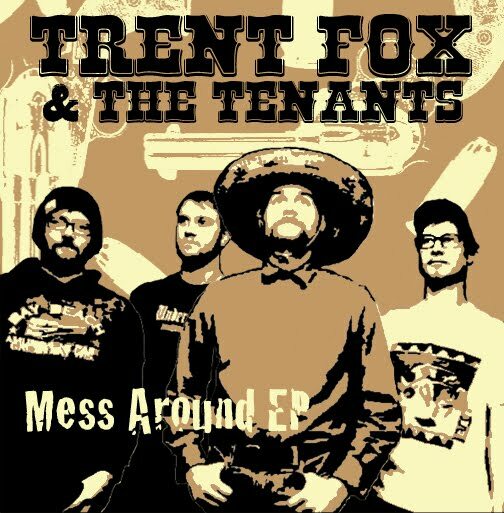 I still cant get into the Smith Westerns - and believe me, Ive tried - and I feel that Trent Fox and the Tenants are what those upstarts should be, with a healthy devotion to the altar of Black Lips to boot. The first 100 copies have a green and gold color scheme in honour of the NFC title (the Green Bay Packers hadn't yet won the Superbowl when the records went to the plant!) - yellow vinyl with green labels.